The surface of your eye has a thin coating of tear film that helps protect and nourish your eye. The tear film consists of three layers, and if one of these layers does not have the proper consistency or quality, this may cause dry eye. If your eye does not make enough tears, you may also have dry eyes. Certain health conditions, such as a potassium deficiency, may play a role in dry eye. Dry eye symptoms include itching, burning or stinging on the surface of your eye. You may also have a foreign body sensation, as if you have an eyelash or other particle in your eye. Dry eye may cause periodic blurry vision, but you can often clear your vision with a series of rapid blinks. Some people also have watery eyes or a thick, stringy mucus in the eye. Potassium is an essential nutrient for the health of the cells throughout your body. If you do not have an adequate intake of potassium, you may have a deficiency. Symptoms include weakness, muscle cramps and gastric distress. Severe deficiencies could result in serious complications such as change in heart rhythms. People with dry eye often have low potassium levels, explains Dr. Marc Grossman, optometrist, author and lecturer on holistic eye care, of New Paltz, New York. The average adult requires at least 4700mg of potassium each day. Your doctor may determine that you need more or less potassium, depending on your medications or health conditions. 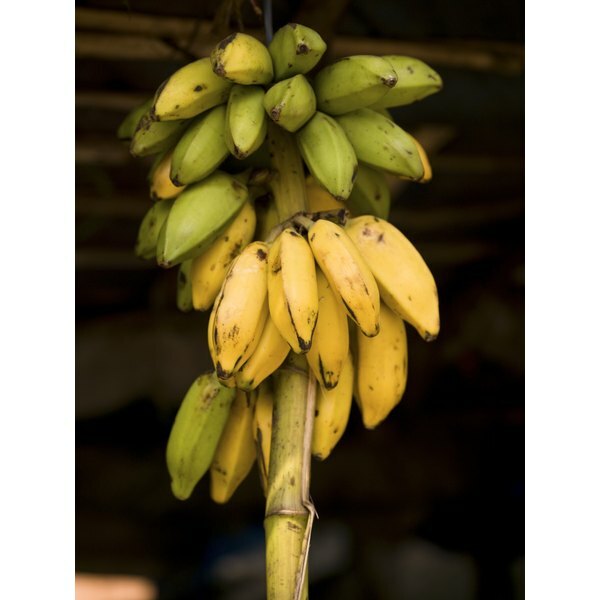 Foods that contain potassium include bananas, which provide over 400mg of potassium, and baked potatoes with skin, which contain more than 900mg, explains the Linus Pauling Institute at Oregon State University. Other potassium-rich foods include prunes, oranges, tomatoes, raisins, spinach and lima beans. If you suspect that you have a potassium deficiency, contact your doctor immediately to prevent serious health problems. Do not begin taking potassium supplements unless directed by your doctor. Changes in your vision or the comfort of your eyes require an examination by your eye doctor.